The Vodka Collins is a simple, refreshing, and popular mixed drink. It is a nice drink when you feel like enjoying your favorite vodka in a long, slow cocktail. 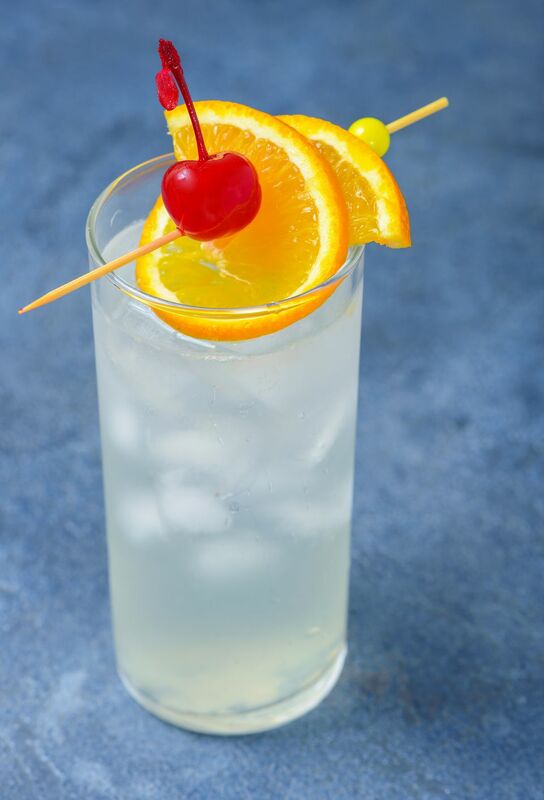 In keeping with the formula of the John and Tom Collins, the Vodka Collins is a sweet and sour drink topped with club soda. While collins' vary by base spirit, using everything from gin to whiskey and beyond, this recipe opts for the obvious. It mixes up quickly and is the perfect happy hour drink for drinkers who love a little vodka from time to time. Pour the vodka, lemon juice, and syrup in a collins glass with ice cubes. Stir thoroughly. Choose your vodka. While almost any vodka will do, this drink is rather transparent and it will only be as good as the liquor you pour into it. That said, you will find that your best Vodka Collins will come from a good vodka. Any of the popular premium vodkas are good options. Choose wisely when it comes to budget-friendly vodkas, not every one is worthy of clear drinks like this. Add a splash of flavor by pouring one of your favorite flavored vodkas. Any fruit flavor works well, thought it's not the best drink for whipped cream and other sweet vodkas. You will find that the Vodka Collins is an ideal test drink for exploring new vodkas. Take the sour mix shortcut. You can eliminate the lemon juice and simple syrup in this recipe and use a housemade sour mix instead. In either case, you can always adjust the sweet and sour proportions to find the taste that is perfect for your palate. How Strong Is the Vodka Collins? You can make the Vodka Collins as tall or short as you like by adjusting the amount of club soda. On average, a 6-ounce drink will create a rather light mix with an alcohol content of around 9 percent ABV (18 proof).